Joplin, MO – Spring enrollment at Missouri Southern State University is up more than 5 percent over the Spring 2016 semester, along with a significant increase in the number of credit hours in which students are enrolled. There are 5,558 students enrolled in classes this semester, up from 5,267 in 2016 – an increase of 5.5 percent. Those students are enrolled in 65,465 credit hours – up from 62,354, or 5 percent over last year. 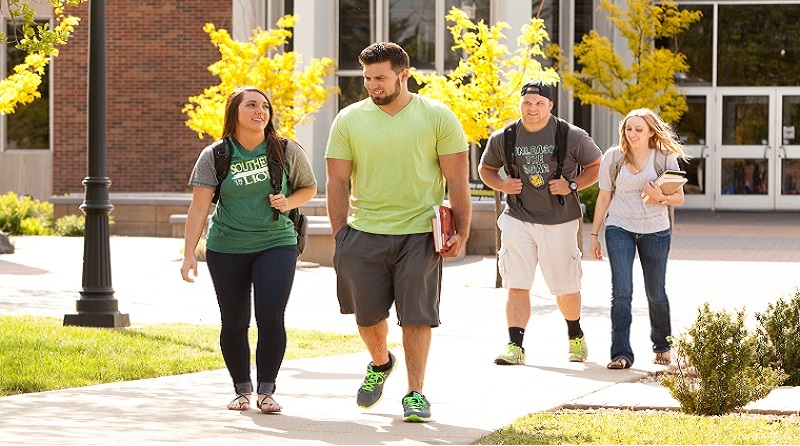 The number of out-of-state students attending Missouri Southern grew by 16.6 percent (from 937 to 1,093). University officials attribute this expansion to the Lion Pride Tuition Discount program, which offers in-state tuition rates to students from Arkansas, Kansas, Oklahoma, Illinois, Iowa, Tennessee, Kentucky, Nebraska and Texas. The university also saw a 2.9 percent increase in the number of in-state students (from 4,124 to 4,243). Following the recent additions of the master of science in management and the master of science in educational leadership programs, the number of graduate students attending Missouri Southern has doubled over last spring. There are currently 127 students continuing their graduate education at MSSU, up 101.6 percent over Spring 2016. The spring enrollment increase comes on the heels of a historic high set during the Fall 2016 semester. Then, total university enrollment reached 6,229 – topping the previous high of 6,012 set in 1990.